CSHO, CRIS Safety Director Tri Dal, LLC. 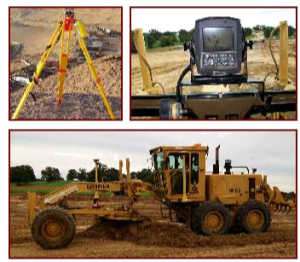 Superintendent Tri Dal Excavation, Ltd.
TDE Estimator Tri Dal Excavation, Ltd.
Estimator Tri Dal Utilities, Ltd.
VP of Operations Tri Dal Utilities, Ltd.
Estimator Tri Dal Utilities. Ltd.
Business Development Manager Tri Dal, LLC. TDU Project Manager Tri Dal Utilities, Ltd.
Board of Directors / Adviser Tri Dal, LLC. VP & Chief Operations Officer Tri Dal, LLC. VP of Operations Tri Dal Excavation, Ltd.
Chief Estimator Tri Dal Utilities, Ltd.